When Apple announced that the iPhone 5 would not be coming and instead it would be the iPhone 4S, some people were very disappointed. But, apparently they were not so disappointed that they did not want the new phone. The phone, which went on presale on Friday, is on record pace to be the fastest selling electronic device ever. Preorders through Apple on their website are already completely sold out. AT&T alone has hit a record of over 200,000 presales for the phone. Without official numbers from Verizon or Sprint, as well as the Apple website, Apple has still already presold about 600,000 iPhone 4S’s. When all of the numbers are added up, the total by the end of tonight is expected to be well over the 1.7 million iPhone 4’s that Apple sold the first three days of presales last year. 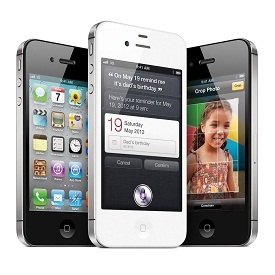 The attraction of the new phone has to do with the strong A5 dual-core processor, iOS 5, and the Siri personal assistant feature. It is being discussed that the death of Steve Jobs has increased sales of Apple products, but no official statistics have been presented to validate the claim.